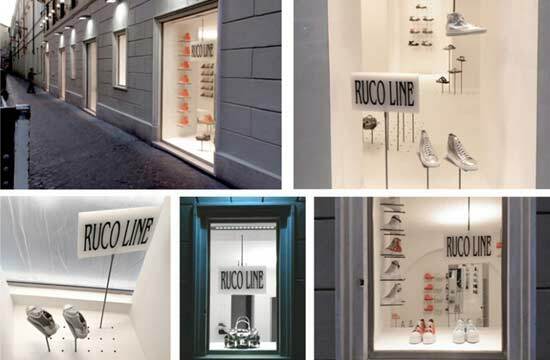 Ruco Lines's brand new store is an extraordinary combination of simple yet contemporary design. 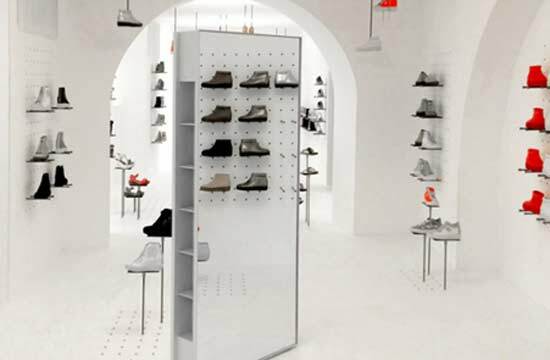 Located in Rome, this boutique follows the contemporary challenge of retaining the uniqueness of stores designed by Jean Nouvel. Besides, following the concept of replicating and maintaining a single brand, from one city to another and from one continent to another. Jean Nouvel derives inspiration from the ornamental features that characterise the existing spaces, and anchors them in his projects. 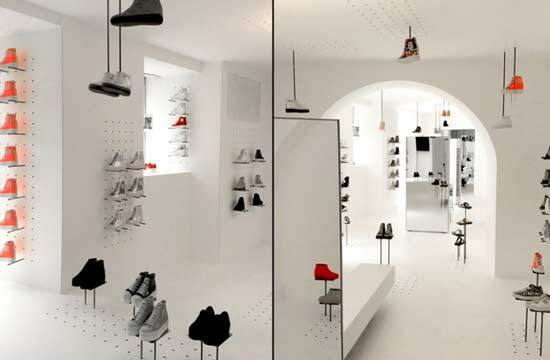 The design of this boutique is focused on the envelope, bringing out the original formal characteristics by amplifying them. The envelope is magnified and particularised through an envelope of white plaster. In this form of revealed architecture, the scenography peculiar to each store is set up through the creation of “tableaux” based on frames of metal rods. 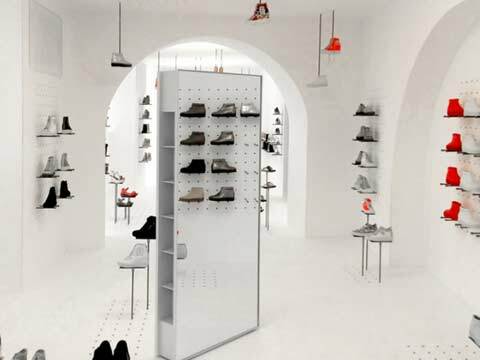 What’s more, these frames define each space, marking the walls as well as the floor and ceiling, and acting as supports for Ruco Line shoes and bags. 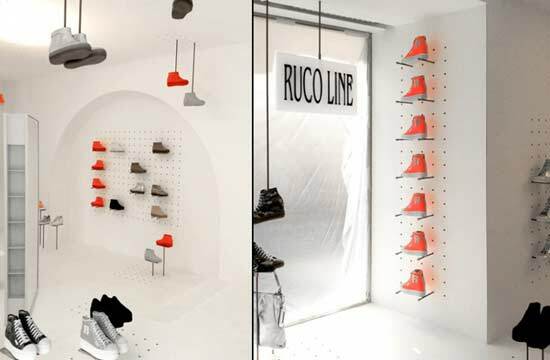 Each space stages its own unique tableau, featuring Ruco Line products. Besides, tall luminous totem poles shed bright white light that spreads over the ceiling, highlighting the formal singularity of each store.